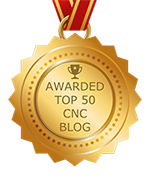 In response to the question of whether custom CNC aluminum is better for the CNC machining process, the answer is “yes” in the majority of cases. Today, demand for CNC machining is on the rise, and to ensure superior quality parts and components, customization makes a significant difference. Read more! In today’s highly competitive marketplace and considering all of the innovative manufacturing processes, designers and engineers understand the value of providing excellent service and taking the appropriate approach for producing prototypes and finished parts and components. For custom CNC aluminum parts that match your specifications, it is imperative to use the right aluminum CNC service. If you have never used custom CNC aluminum services, you probably have a lot of questions. Although there are other options, parts and components machined from aluminum are affordable, reliable, durable, and long-lasting. Not only does custom aluminum fabrication result in cost-effective finished products, but also products that are lightweight and aesthetically pleasing. Read more! Aluminum machining is not only effective, it is affordable. Even when needing custom CNC aluminum, you will get the most for your money. Of all the earth’s elements, aluminum is the third most abundant. Although widely used, it has only been a primary source for less than a century.